Cleaning out the inbox=Podcast Style! 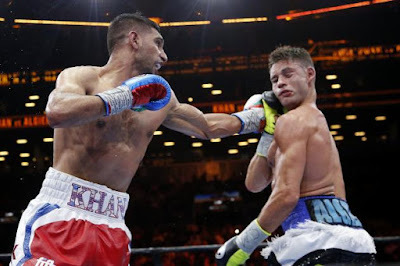 In a better than I expected bout that saw the winner lose a little bit in my eyes and the loser gain some respect-Amir Khan earned a unanimous decision over Chris Algeri on a PBC card in Brooklyn. Algeri was better than I expected and showed heart along with a decent amount of skill in a bout that I thought he was far outclassed in. I scored the bout 116-112 for Khan,but I cannot help,but think Khan lost some luster in the victory and might be better suited at 140 pounds rather than 147. The co-feature was a pretty good scrap as junior lightweights Javier Fortuna and Bryan Vasquez provided a decent enough action bout that Fortuna generally got the best of. Fortuna was the unanimous winner and won on my card 117-111. 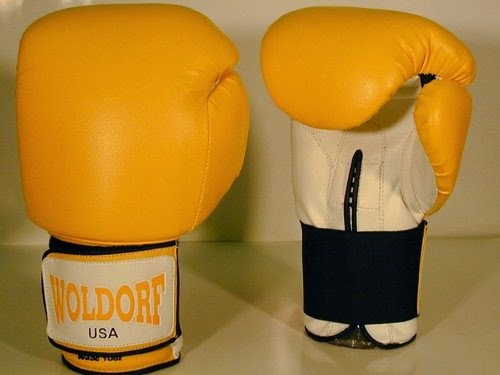 Fortuna won a lower version of the WBA title,who generally fills divisions with "title belts". One word on PBC,who likes to place the tag of "title fight" on bouts without recognizing the organization that sanctions said bouts. The sanctioning bodies can be bad and they can be corrupt,but if you want to talk about the title,you should mention the organization that provides the belts. Either you ignore them or recognize them,one cannot have the proverbial cake and eat it too. R.L.Malpica picked up three points to my two in the boxing challenge and moved back into a tie with me for the lead-this time at 56 all. We each had one point for Fortuna's win,but we each picked it to be via KO. We start with thanks to Tom O'brien for a few former Indians pitchers-Aaron Laffey,Tom Candiotti and Justin Masterson. A trip to Harrisburg for the Reading Phillies with Bill Cover was met with a surprise as Kendall Morris awaited us in the parking lot. Great evening watching the game and pretty productive too as Aaron Nola signed his top 100 and a Bowman as well as the top grab of the evening. I was also pleased to add three pitchers that were originally from other organizations to add for the first time in prospects Zach Eflin,Joe Windle and Ben Lively. All were acquired in trades in the off-season by the rebuilding Phillies. Speedy outfielder Roman Quinn signed his 2012 Lakewood card and a Bowman and the most fun addition of all (other than Aaron Nola's top 100) was second baseman Harold Martinez. Martinez was one of those players that I just seemed to miss a lot through the years and as a result had a whopping nine different cards for him. I told Harold that I was sorry I had so many,but I just missed him in Hagerstown and he quickly added "I never played in Hagerstown" with a smile. I responded that I knew that and that was the main reason that I had so many cards! Harold was very nice in signing all nine cards. Thanks to Fred Landucci,who got Tyler Glasnow and Josh Bell of the Altoona Curve on their top 100's from 2015 along with a few Bowmans of each. Fred was able to get a few stragglers from the 2014 Bradenton team set and Austin Voth of the homestanding Senators on his new Bowman. Later in that series,Fred got Harrisburg's Pedro Severino on his Bowman and Ethan Stewart of Reading for me as well. I had very little for the West Virginia Power,but in Cole Tucker (signed a Stars and Stripes) and Connor Joe (Bowman),the Power brought in two of the nicest guys I've seen in years. Pleasant,personable and willing to talk,both players made fans out of me! Thanks to Brandon Diehl for getting Lucas Giolito and Reynaldo Lopez on their new top 100's. I wound up doing Potomac,but with the 100's,I don't like to put things off-One never knows it could rain! Lucas still personalizes,but is very nice and as noted in the past,the personalization doesn't bother me as much as the look of the card. The only other interesting story on this day was with Jake Johansen,who was always a nice guy as a Sun and still is,but has picked up the Giolito personalizing bug. I had two of his new Bowman-1 for me and 1 for someone else and after signing the first,Jake asked for a name for second. I quickly picked a trader name and he signed to them and asked if "I wanted the other one personalized". I told him that one (chrome) was fine the way it was. Next into Hagerstown was the Greensboro Grasshoppers and the Marlins affiliate which had one name that stood out-2014 second overall pick-Tyler Kolek. Kolek signed all four (Top 100!) cards that I had and a ball for Craig Lindgren on day one and I was finished with the young righthander. Michael Mader signed his Bowman,Batavia and New York/Penn top prospect cards while Brian Schales and Casey Soltis each signed their Elite and Bowman,but my favorite might have been Ryan Aper,who signed an Elite and two Batavia and then added "God Bless You". The worst part was Andrew (or Drew on his cards),who blew me and Brad Adams off pre-game,post-game,walked around with his phone,saw us waiting and still stomped onto the bus. I had other graphers tell me about his apparent hearing (or disinterest) issues. Can;t wait to see him again in June! Our anniversary trip to Harrisburg saw me pick up a few stragglers of New Britain from their first visit and help one of my traders. The Eastern League released a top prospect set for the first time in years and being there allowed me to get all of the Rock Cats in the set-David Dahl,Tommy Murphy and Trevor Story. Fred Landucci got me David Dahl's Top 100 at a game in the series before I was there. We wrap up with the Salem Red Sox in Frederick with one of their lesser prospect teams through the years. I was disappointed that Manuel Margot (Top 100) was injured and not there,but their team set is out (Pretty pricey,graphers). Biggest gets were Sam Travis (Bowman,Lowell and NY/Penn) ,Trey Ball ( 2 different Bowmans,Heritage,Greenville and Salem) and Ty Buttrey (Lowell,NY/Penn,Greenville and Salem). Ball and Buttrey were very nice,which was unexpected after last year in Hagerstown. The Muni can do that sometimes! I'm not sure why I've struggled with things to write as late. There isn't as many things as usual that I want to say and as a result,it has affected things both here and the podcast. I'm not sure if it is a lack of news or lack of passion,but I haven't had the speeches to give despite the pulpit to do so. This happens sometimes,which is why I have so much respect for those in the journalistic community that bang out columns on time every few days. It's easy to write with you have something to say,it's quite another to write when you don't . That doesn't mean that it is this way for good. It has occasionally happened before and I'm sure it will happen again,but sometimes the best thing to do is face it up and see what happens. I'm sure that someday soon,I'll be hit with a flood of thoughts and not have enough time to get them done. I'll have a signing front and there is always cleaning out the inbox,but otherwise I'm just waiting to something to click. Thanks for hanging in there with me and better times are around the corner. 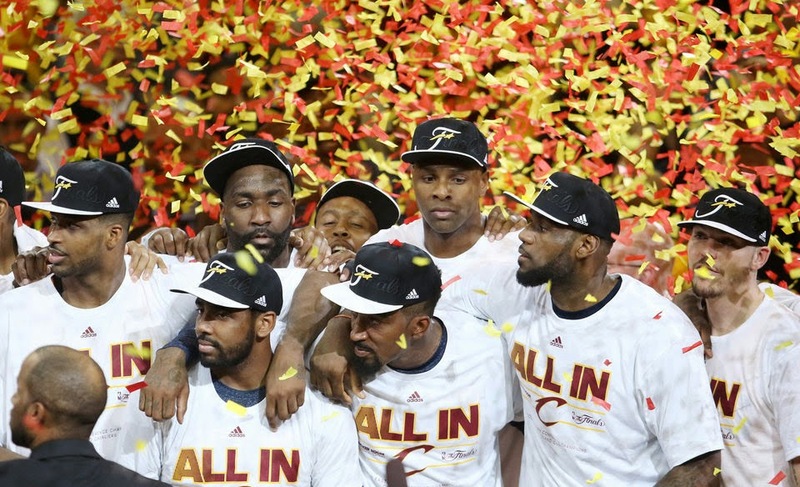 The East belongs to Cleveland! The Cleveland Cavaliers stamped their ticket to the NBA Finals as they breezed through the Atlanta Hawks in game four of the Eastern Conference finals 118-88 in Cleveland. LeBron James and his 23 points led six Cavaliers in double figures in the cruise to the title. 1) There really isn't a ton to write about in a game that was this controlled by one team,but you had to like the killer instinct showed by the Cavaliers. They outscored Atlanta by 12 in the first period and the Hawks never really made a run after that. It is always a sign of a charging team when they burst to a lead and can keep the opponent from never threatening. 2) Kyrie Irving scored 16 points in his return to the lineup and looked reasonably healthy. I still wouldn't have played him in the lineup considering his health and a 3-0 lead,but the gamble paid off. 3) J.R.Smith scored 18 points (4 from three point range) and grabbed a surprising ten boards. Smith might be having a career year in Cleveland and might not repeat it,but Cleveland has to try to re-sign him,when Smith will likely exercise his player option for free agency. 4) Really liked the Cavaliers working down low to Timofey Mozgov to show off some low post moves. 5) Now to the likely finals vs Golden State-Key matchup Stephen Curry vs Who? It's funny that on my "off days",it has become harder to find time to write. Yesterday,I had all day,but I didn't write a bit,but I had a good excuse on Sunday-it was my 28th anniversary. I won't get into detail over what we did,which was basically go to a game in Harrisburg and spend a nice evening together. However,I did want to add a few words on the importance of Cherie in my life. Without her deciding to accept me into her life-my life would likely be radically different. She is the warmest and best person that I know and I don't what I'd do without her. Everything that I have is due to her or her influence in my life and I am quite grateful. One finds love rarely in life and I would imagine that I could never have this with anyone else. I missed game three of the Cavaliers-Hawks series to go to this game,so I didn't see the game,but I did get to listen to it on the radio on the drive home. I'll have coverage of game four tonight. 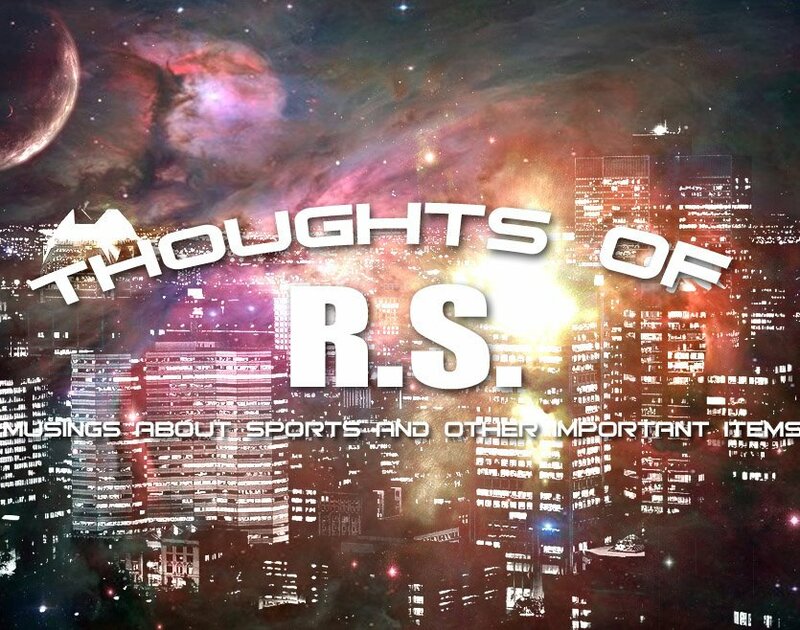 I planned on a podcast last week,but when I had ideas,had no time and when I had time,well you know..
On another less than fun PBC card on NBC,the main event was at least interesting as Great Britain's James DeGale invaded both America and the PBC and claimed the vacant IBF Super Middleweight title with a unanimous decision over Andre Dirrell. 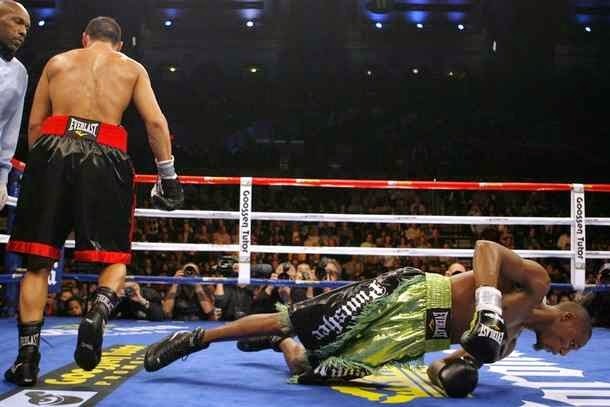 DeGale dropped Dirrell twice in the second round and built a commanding early lead on the scorecards before giving several round away on the scorecards before rallying to win the final two rounds of the fight to put things away. I scored the bout 7-5 in rounds for DeGale,but 115-111 on points with the second round a 10-7 round for the winner. The remainder of the fights were nothing worth mentioning-two one sided beatdowns and a premature referee stoppage,but the DeGale win saw a non-PBC fighter defeat one and another super middleweight title will be on the line soon in a similar manner as WBC champion (and PBC fighter) Badou Jack will defend against mandatory challenger (and non-PBC fighter) George Groves of Great Britain. Some of you may remember Groves from his two losses to Carl Froch and Groves is the only fighter to defeat James DeGale,so I'd make Groves the favorite to hand the PBC another defeat. Sometimes it might seem like I'm anti-PBC and I often root against their fighters in situations like this,but I'm really not. There are lots of things that a league-like setup like PBC could do well and would be good for boxing. The biggest problem that I see is that nothing has changed with Al Haymon from his days working with HBO and later Showtime to the current PBC-he protects his fighters so well that you never get the best fighting the best. PBC promoted their upcoming cards and other than an interesting Adrien Broner vs Shawn Porter bout,the rest is pure crap. Amir Khan vs Chris Algeri? Keith Thurman vs Luis Collazo? Khan vs Thurman would be a fun and even fight,but instead you get the PBC version of "squash matches". Al Haymon is missing the one thing that boxing needs most even with the best exposure-good fights from the best in the sport. I took a one point lead at 54-53 over R.L.Malpica with the DeGale win. No Kyrie? No Problem! Cavs cruise over Atlanta in Game 2! Entering the second game of the Eastern Conference Finals,the Cleveland Cavaliers seemed set for a down outing. Considering the loss of Kyrie Irving for the evening (if not more) with tendinitis in his knee,the Cavaliers were the underdogs in Atlanta against the Hawks. LeBron James had other ideas as the King scored 30 points and added 11 assists to go with 9 rebounds and the result was a easier than the score looks 94-82 win. Iman Shumpert was the second high scorer with 16 for the Cavaliers,who now lead the series 2-0 with game three Sunday night in Cleveland. 1) LeBron James showed why he is such a versatile player once again as he was the key ballhandler in the absence of Kyrie Irving. 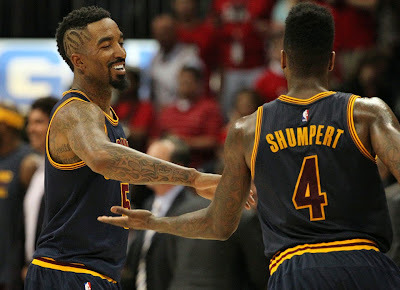 2) Iman Shumpert was the supporting cast member that stood out on this night. Shumpert,who is more known for his defensive prowess,hit four three pointers and was the outside threat that Cleveland needed in this game. 3) 16 rebounds for Tristan Thompson,who has been the bully in the first two games. 4) The Cavaliers have been forced to become more of a drive to the basket and throw it back to the open shooter. LeBron James brings that respect to the table,but the capability of Timofey Mozgov and Tristan Thompson to hit from close range has enabled the Hawks to double down inside and leave the open man. For two games the Cavaliers have been capable enough to take advantage..
5) The win now makes me think of this possibility,if (and it's a big if) Cleveland can take this in the next two games without Kyrie Irving,the gimpy knee could have a total of 15 days of rest. Time for another cleaning of the inbox as things begin to pile up! 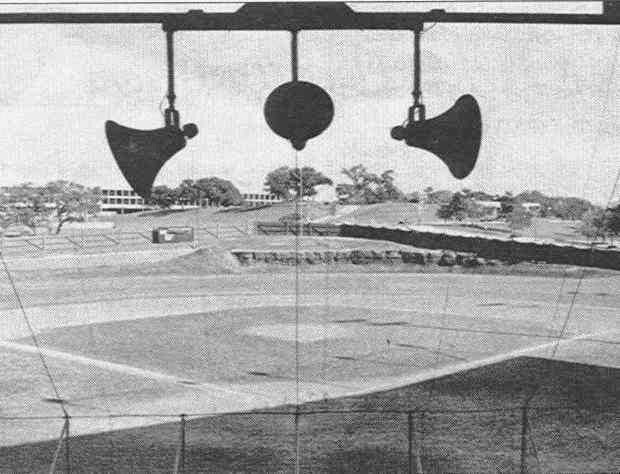 We start with a really cool article from It's about the money about Clark Field,which was the home of the Texas Longhorn baseball team until 1974. I never knew the story,but the field had a literal cliff in centerfield that the left fielder has to scramble up to flag down flyballs in the field of play! 1974 is over 40 years ago,but it seems like even then,a field like that should have been long gone. Clark Field no longer exists having been taken over by a UT fine arts center. There aren't many pictures of Ol' Clark,but there is a great article from Texas Monthly from the year that the Horns left the stadium with a few stories about the field! SBNation has a terrific article on the former Atlanta Braves pitching coach/savant Leo Mazzone,who had so much success in Atlanta,but failed in a brief stint in Baltimore and has been unemployed ever since. I am back and forth on Mazzone,who was extremely successful in rehabbing careers that had faded elsewhere,but it's also a bit easier to succeed when you have three hall of famers in your rotation as well. I like Mazzone's philosophy and would be interested to see how it would play in today's game. Hardball Times has some thoughts on the town of New Britain CT and how a baseball town deals with their team preparing to leave as the AA New Britain Rock Cats will be moving to Hartford for the 2016 season. The Guardian writes about the last major pro sports team to go under in the Cleveland Barons. ESPN's 30 for 30 series has an online version of "Shorts" with films of 10 to 15 minutes and Colin Hanks (son of Tom) has just released one on the Giants Crazy Crab,who was the mascot to be hated in 1984. My favorite Crab moment came years later when they rolled him out for the last night at Candlestick Park,had him in a Dodger jersey and expressed his undying love for Tommy Lasorda! Grantland writes about the problems that David Beaty will have at one of the toughest places to win at in college football-the university of Kansas. Grantland finishes this edition on the final show of David Letterman. He's on fire! J.R. Smith leads Cavaliers to Game one win over Atlanta! 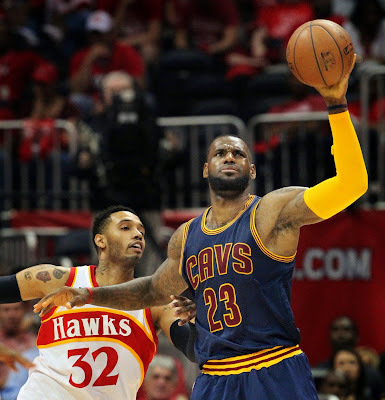 J.R.Smith nailed eight three pointers on his way to a 28 point night to lead the Cleveland Cavaliers to a 97-89 win over the Atlanta Hawks in the first game of the Eastern Conference finals in Atlanta. 1) J.R.Smith looked like the second coming of one of my all-time favorites in World B.Free in this one. Smith was raining threes and they weren't uncontested jumpers either! Smith had defenders on him and he was still drilling them! It reminded me of the old NBA Jam video game,where a hot shooter would literally fire up a flame filled basketball from anywhere on the floor and nail the shot with the frenetic announcer screaming HE"S ON FIRE!. 2) Just your typical LeBron James game (31 pts 8 boards and 6 assists),but the standout to me was that the Hawks were more often than not trying to guard him with Paul Millsap not DeMarre Carroll as expected. 3) Tristan Thompson is headed for a big payday this off-season,if not from Cleveland from someone else. Thompson put up a 14 and 10 night and continues the maturation process. Thompson can be kept if the Cavaliers wish,but keeping him would have been much less costly under the cap had the Cavaliers not foolishly signed the hustling but perpetually injured Anderson Varejao to a long term deal. 4) Tristan Thompson and Timofey Mozgov rotated at center,with Thompson playing power forward when the two was on the floor. Cleveland didn't put Kendrick Perkins on the floor at all-a problem? No.Perkins is more of a bruiser and the Hawks strike me as much more of a finesse' team. 5) Kyrie Irving aggravated his bad knee on a third quarter drive and did not return. Irving finished with ten points and clearly isn't himself,but the often-dinged up Irving is fighting through the pain and one has to give him credit for that. 6) I intended a preview of the series that I didn't have time to do,but Cavaliers in six. 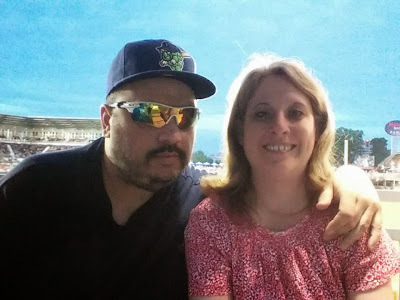 On Sunday,I did the pregame in Frederick for the Keys against the Potomac Nationals with my good friend Mike Oravec and agreed to grab a bite for lunch before the game. I'll add the results of the graphing in a future on the signing front,but someone (I don't remember who) had mentioned before that day that Frederick had recently opened a Smashburger franchise. before hockey season when suddenly their commercials began to show up on Devils telecasts with one of the most obnoxious commercials in quite a while. Smashburger keeps it pretty simple-burger,chicken,a few sides and a few desserts. I chose the build your own burger,which has multiple options even down to the bun,which is pretty unusual. I chose a multi-grain bun (See,I do try a little) with swiss cheese,pickle,light mayo,red onion and jalapeno and some Frank's red hot buffalo fries. 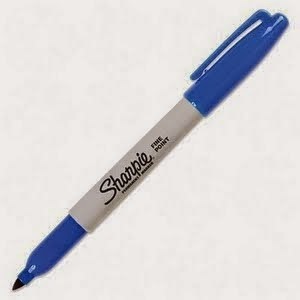 As an unabashed Frank's fan,usually anything that has their name on it gets a chance with me,so that was a layup! The Smashburger gimmick is to take a meaty burger and smash/flatten it out making a thinner,longer burger instead of the more often fatter and rounder burger of most places with the more gourmet burger. 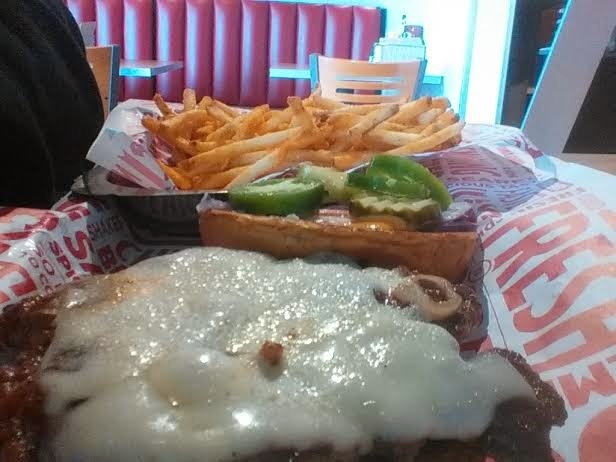 It was quite good and surprisingly juicy and I loved the fresh cut jalapenos similar to those at Five Guys! The fries were thinner than I usually prefer,but the excellent cheese and seasoning carried the day with a solid basket of potatoes. 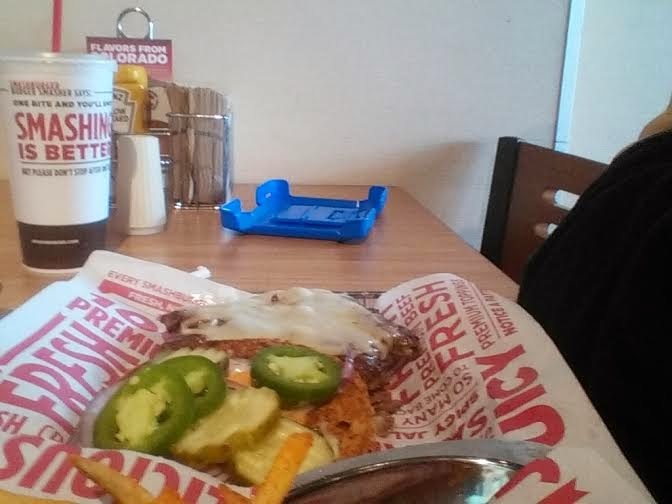 All and all,I highly recommend Smashburger and plan on taking the lovely Cherie on our next trip to Frederick. In the end,think of the quality upscale burger of Five Guys meeting the thinner more angled burger of Steak and Shake and you have a pretty good burger at Smashburger. Thanks to Mike Oravec for the company and the drive! I've had a hard time finding time to write over my three off days,but the good news is that I'll have some ideas that hopefully will make some interesting reading and I'll have a podcast that I hope to do from the road office this evening. The most fun came Monday night at the Muni for what seemed to be another mundane night at the world's weariest baseball stadium with the Greensboro Grasshoppers in town. One (or I) figured that this would be a very light crowd from a few reasons-the first is that the Sunday game featured free tickets if you brought your Antietam Cable bill,so the "We'll do anything cheap" crowd had just been to a Suns game and were unlikely to pay to return the next night. The other is that one of the two best visiting team draws in the Pirate affiliated West Virginia Power had just left town and in return was the Greensboro Grasshoppers with a sparsely popular major league team in the Miami Marlins,not a recipe for large crowd especially on a Monday with school still in session. Considering that,it was not surprise that the peak number for this gathering was a head count of around 150 according to my friend Denise and by the end of the game,I'd wager that the number had decreased to maybe 65. I thought that I would have lots of fans to watch the game with-Fred and Michael Landucci were coming down for Tyler Kolek,the second overall pick in last years draft and a Greensboro righthander,but the ease of them getting Kolek to sign their items allowed to beat the rush (?) and head north and my usual teammate in Bill Cover said that he planned on just watching a few innings and motoring,so with the lovely Cherie and Rachel skipping this one,I looked to surprisingly be alone for most of this game. On the mound for Hagerstown was a usually unremarkable righthander in Phillips Valdez,who had pitched well in his starts this season,but at 23,seemed to be a little old for the SAL level and not really looked at as a major prospect. The game didn't seem unusual at first other than the Suns scored five runs off Michael Mader in the first inning and Mader is looked at as a prospect,so a mild surprise,but nothing eye-popping. 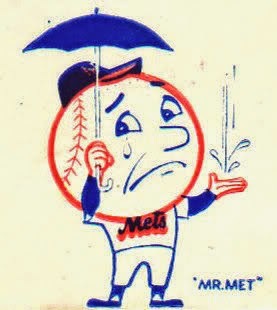 It wasn't until we were through four innings that I looked at the scorebook and realized that Valdez had retired all twelve batters that he had faced and Bill commented after three more Grasshopper outs in the fifth that he was going to leave,but didn't want to leave in the middle of a perfect game. I groaned because usually that's the kiss of death as I teased Bill and sure enough Valdez walked Brian Schales and then plunked John Norwood to start the sixth. As Bill winced with my reminder,Valdez struck out Ryan Aper and then retired the next two batters on flyballs,so the perfect game was gone,but the no-hitter was alive! Valdez would then walk Arturo Rodriguez (remember that name) to start the seventh,but with a strikeout of K.J.Woods and two follow up grounders,the no-hitter was intact through seven innings of play. Entering the eighth,Valdez was pulled for reaching the Washington organizational pitch limit,which I talked about at length recently on one of my podcasts,so I won't get into my opinion on that other than special circumstances should be a consideration on nights like this. Really,how many times are the Phillips Valdezes of the world going to have opportunities to toss no-hitters after all? Justin Amlung ambled into the game for the 8th. Amlung,a recent Washington signee after being released from the Cubs.retired all three batters in the eighth,two of them via the K in continuing the no-no. By now,the anticipation among the double digit crowd was high and Bill and I moved down to the right field line as we always do in order to get players coming off the field (I would get Amlung on his 2014 Kane County card after the game). Amlung would retire the first batter,Mason Davis on a grounder to second and popped up the second batter in 19 year old Rony Cabrera to first base before facing Arturo Rodriguez. Rodriguez was hitting well over .300,but as a 23 year old seemed a little old for the league. I looked him up before the game (he has no cards) and he spent last year in the Mexican League,which is of AAA caliber and hit .373 and 15 homers in only 87 games! What in the name of Andres Mora is this guy doing in the Sally league? Amlung got off to a 1-2 count on Rodriguez and then made the fatal error. Instead using the count to get Rodriguez to swing on a waste pitch,he threw a strike that Rodriguez smacked out of the reach of a running Jeff Gardner in right field for a double and the only Greensboro hit of the game. Amlung then struck out K.J. Woods to end the game as a one hitter. What might have been for those of us there,but still plenty of memories and stories to tell for those of us in attendance! I plan on being from the road office tonight with another post and perhaps this weeks podcast,so stay tuned! The boxing challenge rolled on with HBO showing two stars of the sport in spectacular wins. I didn't have time to post the predictions,but R.L.Malpica and I each earned four points on the evening to keep the challenge tied-this time at 53. In the main event,Gennady Golovkin retained his WBA middleweight title with a sixth round knockout of Willie Monroe Jr.
Golovkin floored Monroe twice in the second round and looked to be ready to finish off Monroe in the third. However,a surprising Monroe battled back and even landed a few nice punches over the next few rounds as the inevitable GGG breakdown occurred. Golovkin finished Monroe in the sixth with a knockdown that Monroe barely beat the count on and Monroe then mumbled an honorable surrender to the battle. Another knockout for Golovkin in increasing his knockout streak to twenty in a row and give full credit for the outgunned Monroe,who fared better than expected and showed lots of grit by surviving the second round,when he could have easily packed it and collected his paycheck then without dishonor. Golovkin of course is still looking for a big name opponent,which he is unlikely to find. Golovkin will likely fight another top 20 level fighter in August or September as he continues to clean out the division before maybe a bout against the winner of the vacant IBF title fight between David Lemieux and Hassan N'Dam. Lemieux would bring an exciting fight and Golden Boy might sacrifice Lemieux to test Golovkin before a Canelo Alvarez fight,assuming that Alvarez would get by Miguel Cotto. As impressive as was Gennady Golovkin,the big winner of the night might have been WBC flyweight champion Roman Gonzalez,who made his mainstream American debut with a two round destruction of Edgar Sosa in just two rounds. We wrote about Gonzalez last year being the best fighter that you've never heard of and hopefully after this win,he'll begin to be known with HBO investing some coin in the flyweights to boot. 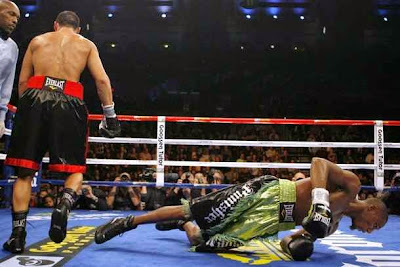 Sosa was not a scrub brought in to put a shine on Gonzalez (a light flyweight champion of 10 defenses at one time),but it was clear early that Sosa had zero chance of holding off Gonzalez,who smoothly closed the show in the second round with three knockdowns. Gonzalez has several exciting fights that could be made-foremost a rematch with WBA/WBO 112 pound champion Juan Francisco Estrada,who gave Gonzalez the closest fight of his career in a light flyweight defense in an exciting 12 round decision. I think HBO would buy that and looks like both fighters would be willing.Another option would another unification against IBF champ Amnat Ruenroung or maybe the biggest bout of all-a move up to 115 pounds against the Japanese dynamo Naoya Inoue. Roman Gonzalez might have started the road to being what HBO thought they were getting in Nonito Donaire-an exciting lower weight fighter with lots of fun fights to be made. The fights may have been showcase bouts to a degree,but both fighters being showcased came to fight and took their opponents out,looking good in doing so. After yesterday's huge hit day with our post on Person of Interest,one would think I'd be pretty pleased with myself. I'm frustrated and I'm mad. Mad because I'm scared and mad because I just don't know what to do about it. The easy thing to say is exercise more and eat better and that won't hurt. The key is to be able to continue that and once again I am hopeful. Of course,I've tried that multiple times even in writing this blog. So,I'm going to try one more time and hope it sticks. Try to do more,try to work on things. So,if you are a friend of mine and you want to go for a walk,let me know. I'm never going to be a go to the gym guy,mainly because I'm not that big (pun intended) on groups of the people.but I'm going to try something and attempt to keep trying. I would like to take a few lines to thank the Person of Interest fans for a huge day of hits. I love the show and it's gratifying to not only know that others love the show as much as I. Thanks to all of you for reading. Loved watching the Cavaliers finish off the Bulls last night to move to the Eastern Conference finals against either Atlanta or Washington. It doesn't matter who wins that series to me,but I'll be rooting for Washington in game six tonight to push those teams to the seventh game of their series. I watched the last four games of the Bulls series pretty closely and the tentative plan is for coverage of the Eastern finals here. Hope this post wasn't too much of a downer. I didn't intend it to be,just it is cathartic sometimes to get things out. CBS decided to renew my favorite show (Now that Justified has ended) Person of Interest,but did so for just a limited number of 13 episodes down from a full season order of 22. This usually means that the show is getting a last half season to wrap things and would likely be canceled following next season. Here's my problem-13 episodes isn't enough to continue the story,let alone continue it. I've occasionally raved about the show here and despite my adoration for the addition of Amy Acker as "Root",the show has gotten away from what got them "there". The storyline of the "Machine" vs "Samaritan" has been drawn out a little more than I'd like,but it still resulted in a fine season of viewing. I love Amy Acker,but "Root" might be best used in half the episodes and despite my liking Sarah Shahi in "Life",her character of "Shaw" has always felt a bit like a character that was shoehorned into having a female lead to replace Taraji P.Henson when her character of "Joss Carter" was killed off to me. The show was always at its best with the interplay and relationship between Jim Caviezel (Reese) and Michael Emerson (Finch) with saving regular everyday people and their "Numbers" and the show has gotten away from that a little with the Samaritan storyline to my dismay,but that's a mild quibble. Although a similar problem occurred with the also Bad Robot produced "Revolution"where someone decided to stray away from the formula that hooked their fan base,POI may have wobbled a bit,but they certainly didn't go downhill. The problem might be as simple as POI is not owned by CBS,while most of their shows are owned by the parent company. When its time for the tough decision of what show to end or shorten,the call is easier when you don't own one of the choices-no matter its superiority over the homegrown option. As with most other things,it often comes down to the dollar. 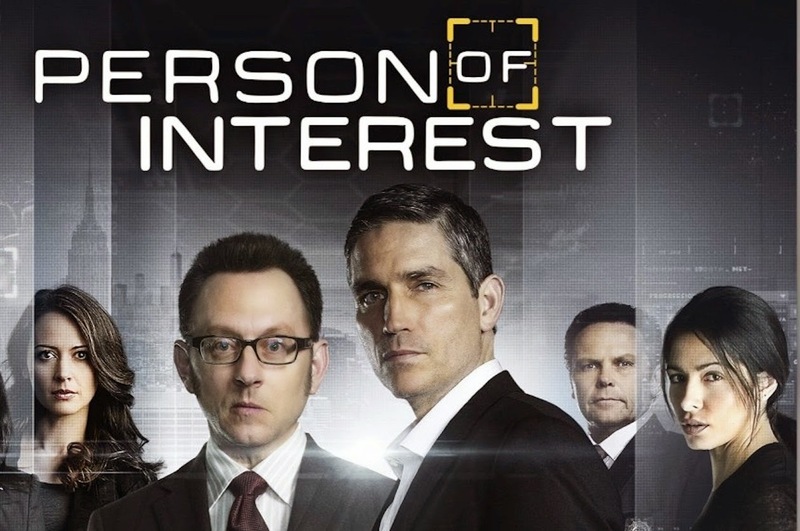 All things considered,Person of Interest is,in my opinion,the best network (non-cable)drama that I've seen in years and despite an occasional hiccup continues to develop in layers of writing and acting that are seldom seen in network television. I'm generally a person that figures that decisions are generally final in television and squawking about it isn't going to change any minds. 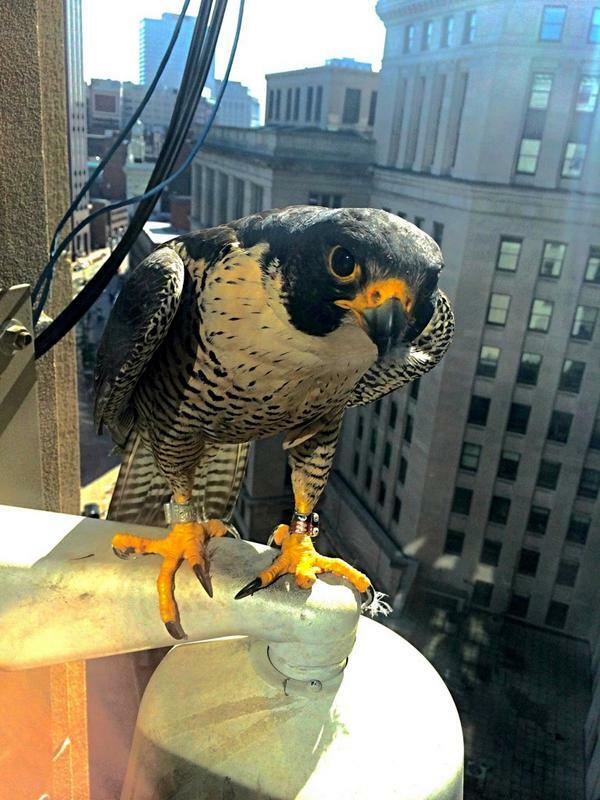 In this case,I'm making an exception-Person of Interest is worth the fight. If you are on Twitter,consider a tag of CBS with an hashtag of #PersonofInterest and #13isnotenough. Podcast-Special Guest Joe Werner-Part two! Part two of our chat with author Joe Werner of the Prospect Digest Handbook! Podcast-Special Guest Joe Werner=Part one! We talk the minors with author Joe Werner of the Prospect Digest Handbook! The boxing challenge returned with four bouts and I pulled into a tie with R.L.Malpica for the lead in the standings. I earned five points to his four and tied the score at 49 all. 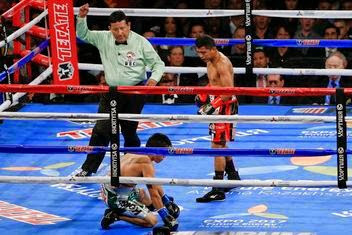 First,I was able to watch the Floyd Mayweather-Manny Pacquiao fight and I was surprised. The first six rounds were more entertaining than reported and for a Floyd Mayweather fight not bad. The last six? Pretty dull. I scored Mayweather a 116-113 winner. I added three points to Ramon's two for the top live fight of the weekend as Canelo Alvarez knocked out James Kirkland in the third round. We each got two points for the Alvarez win,with the bonus point going to me for predicting a third round knockout. I've a bit critical of the power of Alvarez being a little overrated and full credit to Golden Boy Promotions for putting a good opponent in the entertaining Kirkland that was going to put the best light on its star-A face first fighter that was going to showcase Alvarez's power. 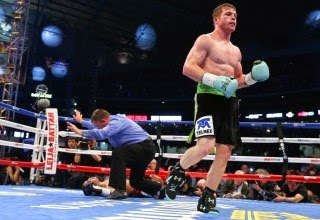 The fight was very entertaining,yet you never had the feeling that Kirkland ever truly was going to threaten Alvarez. Alvarez should face Miguel Cotto in the fall,should Cotto get by Daniel Geale in June in an anticipated battle. I'm not really a fan of either fighter,but I'll be rooting for Alvarez in that one. R.L and I each earned two points for Omar Figueroa's unanimous decision over Ricky Burns,but both missed on Jamie McDonnell's win over Tomoki Kameda on a PBC card on CBS. I missed both bouts because the local CBS affiliate in Washington pre-empted that show for a Washington Nationals game. We start this cleaning of the inbox with two goodbyes. The first is to Grace Lee Whitney of Star Trek fame for her brief run as Yeoman Janice Rand in the series first season. The character was famous for the electricity between Rand and William Shatner's Captain Kirk,that was so obvious that the producers of the show had to remove Whitney from the show because they knew of the shows that featured Kirk and his various romances and felt that audiences would think he was "cheating" on Rand.. The other was former AWA World Champion wrestler Verne Gagne at the age of 89. Gagne,who owned the AWA (imagine that) was more than just a pro wrestler and businessman,he was a legitimate athlete in his day as a NCAA champion and Olympic alternate. When Sports Illustrated did the 50 best athletes in each state's history,Gagne was among them for Minnesota. Gagne was also known for training several of the top stars in history including Ric Flair among others. Gagne's promotion was successful for a long time,but when I was able to watch in the mid-80's,it came across as dull and boring with pushed grapplers being basically people that had just graduated from wrestling camp. Verne Gagne was also known as one of the top known stars across the country from during the 1950's wrestling boom from the old DuPont network and was drafted by the Chicago Bears. Mike Peluso was always one of my favorite Devils and in his post-hockey career,Peluso has struggled with grand mal seizures,brain issues and head trauma issues. Peluso recently wrote this article in the Toronto Globe and Mail that describes the suffering that so many enforcers deal with after the game is over. Tom Gulitti at Fire and Ice takes a look at the Peluso article here. I've always loved hockey fights and always thought that removing fighting from the game was a bad idea. The Blood-Horse recently did an article on an old favorite of mine from my days as avid horse racing fan-Summer Squall,the winner of the 1990 Preakness. Joe Plum sends us this note from the Washington Post on the increase of the blue crab population from an all time low the previous year. After last week's (reported) dull bout between Floyd Mayweather and Manny Pacquiao,we return to the boxing challenge with R.L.Malpica with each of us adding two points last week and leads me 45-44. Here is four bouts for the weekend and the challenge. We catch up on things in May! We attempt to keep the signing front clear for now with an update. This never works out over the course of the season,but my intentions are always good! The Delmarva Shorebirds visited the Muni and I had next to no cards for them due to doing Aberdeen with Derreck and Brad last season. Eight whole cards over the series with the best pickup being a chrome of Brian Gonzalez,who in the 3rd round last draft was the Orioles highest pick. I also got the very nice former Expo catcher Michael Barrett on two showdown cards for Ryan and one for myself. Barrett is the catching rover for the Nationals this season. Next up was the West Virginia Power in Hagerstown and I only did one night of the Pirates affiliate. One night was rained out and the second,I got back a bit late from Harrisburg and after the great recycling caper,no one really felt like going over. I still was able to get most of the limited stuff that I had signed. Pittsburgh first rounder Cole Tucker set a high bar as the nicest player for the season. Tucker really liked the Bowman Red Ice card that I had and talked for quite some time. Tucker also signed a chrome and his USA card. The other nice additions were Jordan Luplow,who signed a chrome,Prizm,Elite and a NY/Penn prospects and Taylor Gushue,who signed a chrome and NY/Penn card. Harrisburg meant the New Britain Rock Cats and their new affiliate in the Colorado Rockies. The big pickup was David Dahl,who is now down to a one per,but reasonably nice about it. I only had one,his 2015 Topps Heritage,until I get the new top 100 set that is! The other two top prospects were very nice as Trevor Story and Tom Murphy each signed three. Murphy said he had to be quick and I told him I could wait until later and he responded with "that's OK,I'll get them now". Story signed a heritage,chrome and Modesto card,while Murphy signed a heritage,chrome and Asheville card. I also got former Indian Dave Burba on a card and two showdowns for Ryan. The other two nice additions were Tyler Massey on his 2012 heritage and former Brave Gus Schlosser on his 2013 heritage. The best part on this trip was riding home with Kendall Morris and running into two huge traffic jams. It took us 90 mins to move the last 7 miles or so to my house as I-81 was actually closed off. I enjoyed the conversation with Kendall as always though,so it was still a good time. The Greenville Drive showed me why I love this hobby. Last year,I wrote the Lowell Spinners were the worst signing team that I did all season. Many of the Drive were on that team,so what happened? Great signing team with first rounders Michael Kopech and Michael Chavis being the best along with Rafael Devers,who we wrote about earlier this week. I paid more than I should have to get my top 100 set for 2015 here and I saw on the morning of the final game of the series that my package was in Hagerstown. So I go to the game and ask Ryan if he could check my mailbox-no dice. We leave at 3;25 to drop Rachel off at the house and one last mail check before I pick the lovely Cherie up at 4-no set. 3:42 as I prepare to leave-the set shows up! I grab the set,rub the Devers card at a red light,run by the Muni,game not over,run back across town 5 minutes late,back across town and the lovely one graciously waits for 15 minutes as I wait by the bus to get Devers as the first 2015 top 100 finished. That's dedication (or insanity by me) and severe tolerance by her! We wrap with a short trip to Frederick with Bill Cover for the Winston-Salem Dash and I had just a few cards. I got all but one finished with Trey Michaelczeski the biggest prospect. The White Sox system's strength is now at AA Birmingham,so the Dash and the Low A Kannapolis Intimidators could be quite weak. Thanks to Fred Landucci,who helped me with some Reading cards,most notably Jesse Biddle on his 2014 Top 100 among others. First rounder Aaron Nola signed his chrome,Roman Quinn on a heritage and a silver ice and both Phillies in the Florida State prospects sets in Ethan Stewart and Logan Moore. Fred also got Dylan Bundy on a refractor in the 1972 style when Bowie came in! That is one sharp card! Thanks to Derreck Chupak for doing all my Wilmington Blue Rocks stuff. We were planning on doing that game together and when I suffered my concussion,I was out of action. Derreck went down anyway and did all the stuff that I had for the Royals team. The best were Cody Reed on several cards including a heritage,Eric Scoglund on a Bowman and an elite and best of all coach Brian Bocock on a 2006(!) Salem-Keizer and 2009 San Jose. Love those old cards getting out of the box and into the binders! Thanks to Mark Bailey for more Devils help! Mark got Rachel an 8 x 10 of Adam Henrique (who else?) and an 8 x 10 for me of my favorite Devil Steve Bernier along with most of this year O-Pee-Chee Devils team set. Thanks again,Mark,Rachel and I appreciate it so much! The owners of the New Jersey Devils finally will have an opportunity to put their stamp on a franchise as Lou Lamoriello has been promoted to president and former Pittsburgh Penguins general manager Ray Shero was named as his replacement. Before we get to the nuts and bolts of this move (and we really only know so much),I wanted to address some questions about why Devils coverage faded away at the end of the season. It wasn't losing interest in watching the games,I don't recall missing more than a game or two,it was more that I was just not interested in writing a lot about a team that was eliminated from the playoffs and one that wasn't really playing the young guys from Albany with the exception of brief cameos by Stefan Matteau and Reid Boucher. The interesting part of Ray Shero being hired as the general manager isn't Shero,who is a proven general manager,it is Lou Lamoriello. 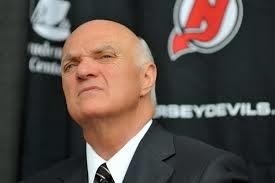 Is Lou truly the "President of hockey operations" and will be an active member with Shero answering to him? Or is it more that Lamoriello is a highly paid consultant and the change of the Devils philosophy has begun to take shape? Shero will be making the call on the next coach and Lou Lamoriello still seems to have some say in the organization,but one can definitely say things are beginning to at least change a bit. The bigger question is will the Devils change how they do things in the draft,developing players and the type of players that the team will try to acquire? Rafael Devers-Star of the future? I might have found a star of the future or at least someone for you seamheads to follow closely,especially if you play fantasy baseball in futures league as in the Greenville Drive's only stop in Hagerstown for the season,third baseman Rafael Devers has exploded with the type of bat speed that I haven't seen in the SAL in the last few seasons. And best of all? Devers doesn't turn 19 until the season is over! I first looked at Devers over the winter when in my fantasy league,I wanted to take a lower level player in the final round of my minor league draft. Devers bio and impressive numbers in the Gulf Coast League at age 17 against recently drafted players made me take notice and draft him and I am glad that I did. Devers is hitting well over .300 and crushed two homers against the Suns yesterday in a five for six outing that could have been six for six as he smashed a bullet right at shortstop David Masters on the only occasion that he was out on the day. The first homer was was impressive as I bet it was well over 400 feet and hit to left center (Muni fans know the ball does not carry well to left or left center) and therefore had to be pounded to leave the park period,but it was the second that really showed me something. Devers pulled a ball on the outside half of the plate (Devers is a lefthanded hitter) and jerked it on a line into the Greenville bullpen. For an 18 year old to do that to that type of pitch shows a incredible amount of strength and bat speed,no matter who you are hitting off of (we will leave the state of Hagerstown relief pitching for another day). 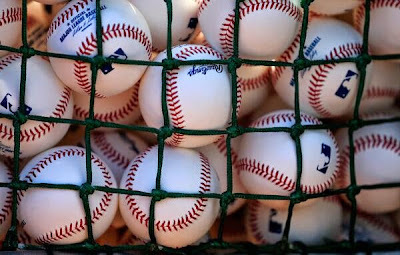 I see a lot of touted prospects come through Hagerstown and Frederick and a lot of them eventually find their level somewhere along the line,with many falling short of the bigs. It is not common place to see a player that is highly thought of to make you snap your head and take notice like yesterday. I have yet to see Yoan Moncada play after his large contract with Boston,but his bat will have to go quite a ways to match the impression that was made on me yesterday by Rafael Devers. The only bad part about this? The Cleveland Browns finished up their draft with five picks in the sixth and seventh rounds and came up with some interesting picks-three of which I really like. 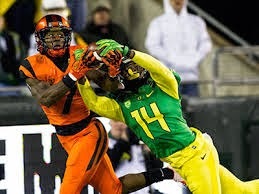 The favorite was their last pick,which shows the ability to be patient and could wind up being a huge victory as Oregon cornerback Ifo Ekpre-Olomu was tabbed despite a knee injury that could sideline him for 2015. A three time all-Pac 12 player and All-American last season. Ekpre-Olomu tore his ACL in preparations for the Ducks playoffs game vs Florida State and may not be ready to go until 2016. That said,without the knee injury,he was a potential first rounder and the Browns may have gotten a steal for the future. If IEO can return to health at top speed,the Browns have the largest group of young and top talented corners in this league and that goes a long way in the NFL. These are the type of picks that I like to see in the late rounds-low risk,high reward and the chance of an impact player! The Browns other seventh rounder was linebacker Hayes Pullard of USC,who is more of an inside player than an outside player. The inside backers are often your high motor players that don't always have the physical stature that teams like in higher picks. Pullard would have been fine in that spot,but I loved the open letter that he wrote to fans and media before the draft. The sixth saw another talented corner drafted as Charles Gaines of Louisville slipped from a fourth round projection to round six. Gaines has physical gifts as one of the fastest corners in the draft,but being a former wide receiver still has some rough edges to be sanded out. Cleveland took two tight ends in round six in Malcolm Johnson of Mississippi State and Randall Telfer of USC. Johnson caught 10 touchdowns in his career and is also reported to be possibly a fullback or H-back rather than a full time tight end. Telfer is more of a big run blocker (6'4 265) than a receiver and has had injury issues at USC. Even though both players are listed as tight ends,they are really two different types of players.. It's the biggest fight in the world and with our draft coverage,I almost forgot to post our picks for tonight! R.L.Malpica leads me 43-42 at this time. The Cleveland Browns had back to back picks in the middle of round four and expected to use them. They used the first and then added an extra 6th and 7th round pick to drop a few spots with Arizona. I liked that just for the chance to add a few more bodies. With the first pick,Cleveland took a safety in Ibraheim Campbell of Northwestern. I have a ton of respect for Pat Fitzgerald and his Wildcats program and despite some observers thinking that Campbell was more of a sixth rounder,I'm OK with it. I wrote in our preview that a strong safety to groom behind Donte Whitner would be a great idea sometime during the draft and the Browns agreed. Campbell is a physical,hard hitter and although he might not have been my top choice,he was the type of player that I was hoping to see in Cleveland by the end of today..
After the trade with the Cardinals,the Browns finally tabbed someone to catch the ball and it was an interesting player in Vince Mayle of Washington State. 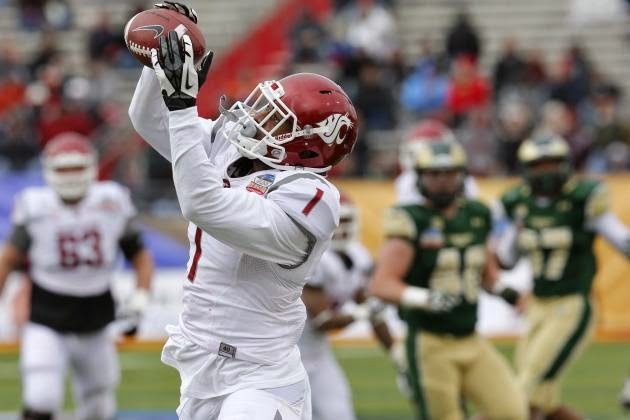 Washington State under Mike Leach throws a lot,so Mayle has the stats from last season with 106 catches for just under 1,500 yards. Mayle is reported to have dropped well into double digit passes last season,but pro-rate that with the Cougars offense and that's like a conventional offense's receiver dropping five passes. The 6'2 Mayle has the size to be a red zone help and maybe even a little more,even if he lacks top speed. I also liked that Mayle said he was "humbled" by being a fourth round pick and was going to channel that into hard work. Gotta love that mentality and I see a trend with the Browns picking solid citizens and guys with high work ethic. Josh Gordon and last season's draft are the type of thing that can do that to an organization,but I like that thinking. I don't want to root for teams that employ women beaters,drug users and drunk drivers-I would almost rather lose than root for teams that overlook such conduct and the Browns,at least for now,seem to be moving away from that! I'll be back later tonight with some thoughts on the new Browns from rounds six and seven! I was hoping that the Cleveland Browns would add some receiving weapons to help their less than powerful quarterbacking situation on day two of the NFL draft and they did not even address the situation. However,they did add an interesting talent to the offense and two more player for a team being built as a defensive bully and I cannot say I'm totally displeased. Ray Farmer had a chance to select either Jaelen Strong,a wide receiver from Arizona State,who many had going in the first round or the top tight end in the draft in Maxx Williams of Minnesota,but instead chose to trade down eight spots with the Houston Texans and added an extra 4th and 6th rounders for the help. 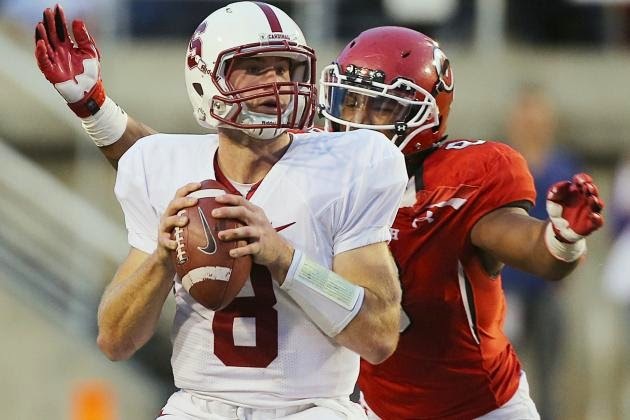 Both players were still on the board at 51,but the Browns passed on both to take Nate Orchard,a pass rushing linebacker from Utah. Nothing against Orchard,who is a fine player and will hopefully do what Barkevious Mingo was drafted to do,but I really wanted Williams,who will now haunt Cleveland for years as a member of the Ravens,who traded up to 55 and snatched him away. The 6'3 Orchard is listed as a defensive end or outside linebacker,although in the 3-4 defense,that position could be really named "Rush End" and led college football in sacks last season against solid competition in the Pac 10. This was a need and I like the player,but what I don't like is Ray Farmer's opinion that you don't draft guys to catch the ball and his thoughts that the Browns can get away with Dwayne Bowe as a number one wideout with Josh McCown throwing the ball. This may not end well,the theory that is,not Orchard,who could be very good. Duke Johnson could be a winner. Johnson,the all time top rusher in Miami history,might not be a full time back,but with his ability in the open field and as pass catcher,Johnson adds a dimension that neither Terrence West or Isaiah Crowell has. Johnson reminds me of Darren Sproles a bit and might be similar to Sproles as the type of player that the offense flows through. The size (5'9 205) worked in Johnson being a third rounder,but that same size is what works so well among the Browns other backs in a rotation. The Cleveland running game could be one of those that frustrates fantasy owners,yet is very effective on the field. Super pleased with this pick and others thought that way too as so many fans of other teams (especially Dallas) groaned with the announcement of the selection. The evening appeared to be completed after the pick of Johnson,but the Browns then traded up for the final pick of the round (Compensation picks afterwards cannot be dealt) to add Washington State defensive tackle Xavier Cooper. The 6'2 293 pound Cooper is noted for tremendous speed,although he needs to improve his strength. Cooper is more a project than Nate Orchard,but should compete to be part of the defensive line rotation. Cooper's cost was a fourth,fifth and sixth round picks to the Patriots,although Cleveland did add a seventh rounder in the swap. The Browns have five picks in day three of today's draft-2 in round 4 (back to back at 115 and 116),2 in round 6 (189 and 195) and 1 in round 7 (219),although I wouldn't be surprised to see more dealing up and down that could include picks for the 2016 draft. Time for a long overdue cleaning of the inbox and we'll be keeping this to the non-sports version for this edition..
We start with a tremendous goodbye to one of my favorite shows in the last years in Justified. 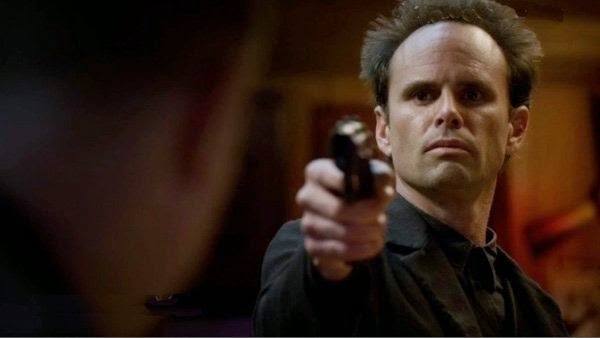 Justified was written extremely well and my favorite character Boyd Crowder (brilliantly played by Walton Goggins) might be the most multi-layered character that television has seen in years. If you haven't tried Justified-I give it my highest endorsement! An interesting article on the "comeback" of sorts by Dwight Yoakam by Grantland can be found here. It's a look at the ecletic singer and actor that first came to my attention when he brought Buck Owens back to the public eye with "Streets of Bakersfield". I didn't know Yoakam did so many movies,although I did remember his role in "Slingblade" as the abusive boyfriend that Billy Bob Thornton kills in the end. Grantland adds another note with this one on Rattlesnake Rodeos,which seem to be a distinctly Southern thing-mainly because they are where the rattlers are! It shows how towns derive a festival out of something that so many look at as a dangerous pest and make some money off it,which can be very good for them. Joe Plum posted this article from NPR on animals that may go extinct because no one wants to eat them! It mainly deals with heritage breeds that are mainly cows,pigs,etc. Finally,we wrap up with the passing of Suzanne Crough at the age of 52. Crough was best known as the youngest member of the Partridge Family,who rarely spoke and played the tamborine. I was always a big fan of the show and passed that along to Rachel.